All the images can be zoomed, some to a stunning degree. For 46 objects, visitors can see extraordinary detail using super high resolution or ‘gigapixel’ photo capturing technology, enabling the viewer to study details of the brushwork and patina beyond that possible with the naked eye. 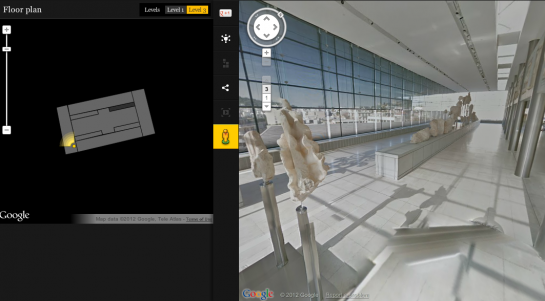 Amit Sood leads Google's effort to bring the world's greatest museums online. This started as his "20%" project. Their online collection spans a wide range of institutions, large and small, traditional art museums as well as less traditional settings for great art. “The Art Project is going global, thanks to our new partners from around the entire world. It’s no longer just about the Indian student wanting to visit Metropolitan Museum of Art in New York. It is now also about the American student wanting to visit the National Gallery of Modern Art in Delhi,” said Amit Sood, Head of Art Project, Google. Google suggests you check out the White House in Washington D.C., the collection of the Museum of Islamic Art in Qatar, or the Santiniketan Triptych in the halls of the National Gallery of Modern Art, Delhi. 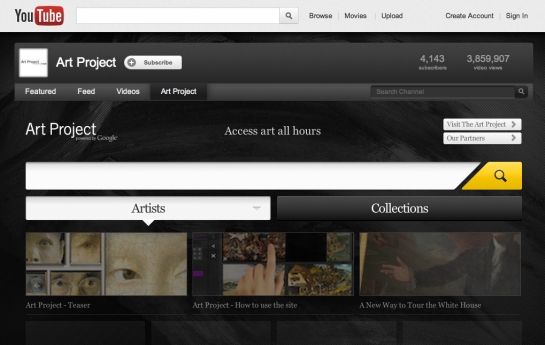 The expanded site has more powerful browsing (e.g., by period, artist or type of artwork), and integrates Google’s “hangouts.” Their videos (e.g., stories from curators) are collected in a central ‘Art Project’ YouTube channel. In a smart move, Google also worked with Khan Academy’s smARThistory, who made 90 Khan Academy videos expressly for Google Art Project version 2. See them here. Google is using the same technology to host content on a few other institutions’ sites. Under the auspices of the Cultural Institute, Google is producing high resolution images of the Dead Sea Scrolls, digitizing the archives of famous figures such as Nelson Mandela, and creating 3D models of 18th century French cities. Access is growing. Museums are rethinking control vs. outreach. Is it better to limit access to real-life visitors who buy tickets and shop the museum store, or make culture freely available? It is better to lock down access to promote image licensing as a revenue stream, or release publicly hoping that free access will open doors for newer business models?